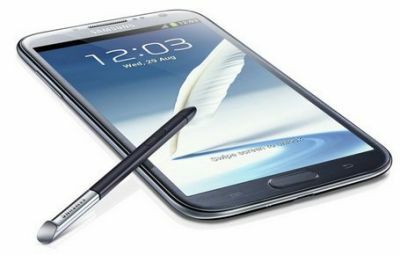 Samsung announced the successor to the popular "Phablet" Galaxy Note, the Note 2 - with a 5.5" HD Super AMOLED display (1280x720, non-Pentile). Yes - this is a 'regular' glass based AMOLED panel, and not a plastic-based flexible YOUM panel as earlier rumors suggested. I guess we'll have to wait some more for Samsung's first flexible-OLED device, due in 2012 (it'll probably have a much smaller panel).